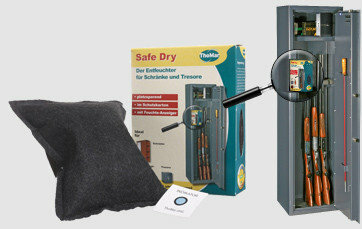 Safe Dry Air dehumidifier for cabinets and safes against rust, mould and musty odours. 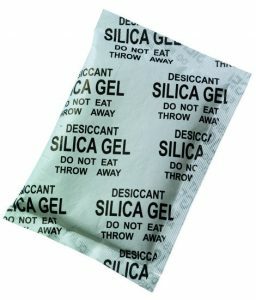 Can be safely used in a protective casing with humidity indicator. 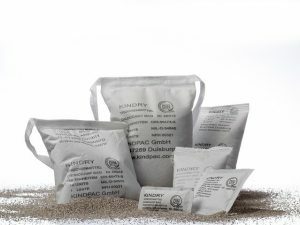 Safe Dry is a dehumidifier made of natural granules for safes and cabinets for protection against rust, fungus and musty odours. It saves space and can be safely used in a protective casing with humidity indicator. The humidity indicator provides information as to whether Safe Dry is regenerating or whether it should be replaced and thus provides increased safety.